Dragon Door: As the Assistant Director of Health Promotion and Education at Bowdoin College, does your job also include elements of fitness? Christian van Loenen: Funnily enough, no it doesn’t, but I am moving in that direction. I've been at Bowdoin for two years and even though my position is in Health Promotion, which sounds like it could be tangentially related to fitness, it isn’t for the most part. Most of the work I do is a combination of individual counseling and group interventions around alcohol and drugs. I also oversee a number of student groups on campus that fall under the umbrella of health and wellness. Although I’ve enjoyed my time at Bowdoin immensely, this will actually be my last year at the college. I’ll be starting my own project working primarily with middle school and high school aged boys. My goal will be to use fitness and strength training as a hook to do more social and emotional development for young men. Basically saying to them "yes, I’ll make you big and strong, but along the way we’ll be talking about other things, too." I'm excited about this new venture since it draws on my professional background. For the last ten years I’ve been working in education, with personal training as a side hustle. I’m hoping this new idea is a manifestation of my skill-set and interests. Dragon Door: How did you get interested in fitness? Christian van Loenen: I am the youngest of five kids and my older siblings were all pretty good athletes. Two of my older sisters were track athletes along with my brother, and my other sister was a really good tennis player. Four out of five of us played collegiate sports. My parents both prioritized healthy living and exercise and were tremendous role models for us as kids. Sports were a major part of what we did growing up, and I’ve being playing basketball since I was a little kid. I played collegiate basketball at Colby College which is also in Maine—it's very similar to Bowdoin in many ways. I was a starter for three years, a captain for two, and was lucky to have a pretty good career in college. I was actually able to continue playing after graduation as well. My first job after college was teaching for four years at an international school in Kaohsiung, a city in southern Taiwan. As soon as I arrived I started playing basketball. Early on, a guy who managed a team for a corporate league saw me play at a three on three tournament. 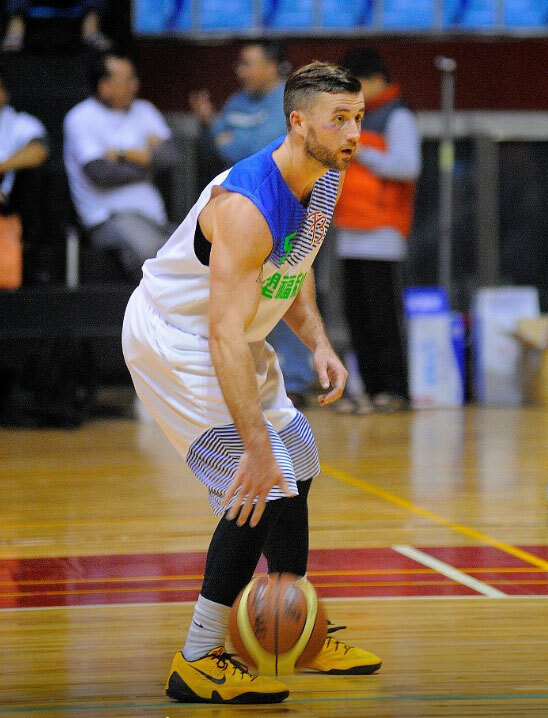 In Taiwan, different companies have teams, and I ended up playing for an oil company. It was a unique way to experience the culture since we traveled around the island for different tournaments. Fortunately I was able to balance playing with my full time job as a teacher. Basketball was definitely my sport, but in my junior year in college, I became interested in strength and conditioning because I saw the difference it was making on the court. Dragon Door: How did you find out about kettlebells? Christian van Loenen: By the end of my college career, I had become obsessed with the strength and conditioning side of basketball. During the course of researching, reading, and watching so many videos during that period, I came across kettlebells. I realized how efficient they are as a "best bang for the buck" fitness tool. In addition to that, most kettlebell movements—the swing in particular—require hip extension. Athleticism basically depends on your ability to generate power though your hips. I knew kettlebells would make me a better athlete. I started swinging kettlebells shortly after. At that time I kept the movements basic, mostly just the swing. After college I experimented with a lot of different training styles, but kettlebells remained a big part of what I was doing. Dragon Door: What led you to your current job and your next venture? Christian van Loenen: For the last several years I’ve had the goal of meshing my professional experience in both education and wellness. After I finished teaching in Taiwan, I was hoping to find a master’s program that would allow me to study at this intersection of health and education. I was lucky enough to be accepted into a special studies program at the Harvard Graduate School of Education. The majority of my courses were actually focused on adolescent development, mostly from the standpoint of decision making and behavioral change. I received my Masters from Harvard in May of 2016. While I was studying, I was consulting and doing project management at their Center for Wellness. I was also doing personal training for students, faculty, and staff at two of the gyms on campus. It was an amazing experience in Boston being a student, working at the Center for Wellness, and also being able to train. Just before graduation, a friend of mine from the Center for Wellness sent me the job listing for my current job at Bowdoin. I was lucky enough to be hired shortly thereafter. Working here has been a wonderful experience, but now feels like the right time to start this new project. Dragon Door: That's really exciting. What inspired you to seek working with that demographic? Christian van Loenen: I am convinced that it's a really challenging time to be a young person in today's society. And I think it's especially challenging in some ways to be a boy right now. There are so many pressures to act a certain way and a lot of confusing messaging. I think there’s a uniquely large amount of confusion for boys today compared to other periods of time in our history. I think I'm lucky that I'm at a point in my life where I can still connect with that demographic. In many ways, I think the world will be a better place if we can reach adolescent boys. When I was young, I was really fortunate to have positive male role models who were incredibly influential in making me the man I am today. I would like to provide that in my community. I think physical training translates to other areas of life and can teach a young person discipline, how to get comfortable experiencing discomfort, and how to work towards and achieve a goal. These experiences can shape a person significantly—they can learn and understand how to face challenges and adversity. 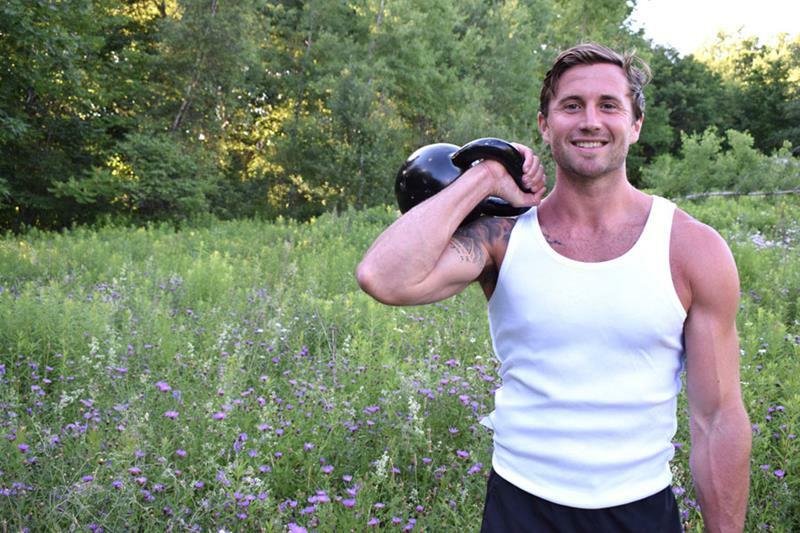 Christian van Loenen: I now train almost exclusively with kettlebells. I’ve been using them for so long that I wanted to perform the movements at a really high level for myself, and also be able to teach them at a high level. When working with past and current clients in individual or group settings, kettlebells are what we've been using the most. If I'm working with a client on a consistent basis, kettlebells are the foundation of everything we do. Adult clients appreciate the efficiency of kettlebells since they don’t need to spend tons of time working out every day. A single kettlebell can give you a big engine, make you strong, and it is also therapeutic. Training with kettlebells can really help people who are dealing with back trouble or back pain. It’s such an amazingly versatile piece of equipment. I wanted go to the RKC to get really comfortable using and teaching others about it. Dragon Door: What was one of the biggest things you learned at the recent RKC workshop with Phil Ross? Christian van Loenen: I would say attention to detail within the actual movements—that was the most critical component of the weekend in terms of teaching and learning. I also appreciated how certain standards were upheld. I think many other fitness certifications have become incredibly watered down. Passing them is more of a test of your credit card working, rather than a test of your knowledge or ability to perform movements at a high level. The RKC is one of the best certifications out there because it upholds standards. The people in the RKC make it such a special community. They’re from varied backgrounds, industries and professions from all over the world—and are brought together by this unique piece of fitness equipment. It was really kind of beautiful to see that. Dragon Door: Of all the kettlebell movements, which is your favorite? Christian van Loenen: The basic swing, two-handed or one-handed. If you are only going to do one thing in the world of fitness, then get a good swing down and you’re good to go for the rest of your life. I think there's something so beautiful about that. I always appreciate simple things like the swing done very well. Watching Phil Ross demonstrate a swing at the RKC was an expression of virtuosity—doing the common uncommonly well. Dragon Door: It’s wild how powerful kettlebell swings are when performed correctly. Now that you’ve gone to the RKC, are you working toward any particular athletic or fitness goals? 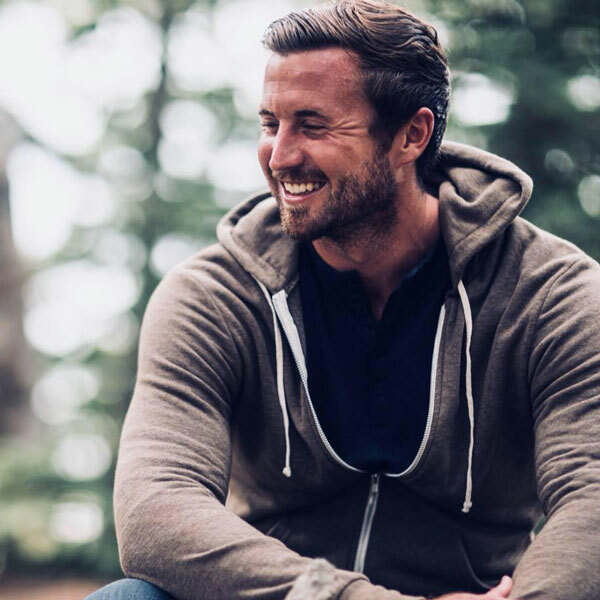 Christian van Loenen: After my basketball career ended, I had to figure out what role fitness and exercise would play in my life. It was powerful for me to understand that certain types of exercise allow me to have a higher quality of life outside of the gym. Instead of more measurable goals, what I’m working towards with the kettlebell and anything else in fitness is improving the quality of my life in general. Exercise has always been really important for my mental and emotional health as well. But, my first RKC experience was so positive that I know for a fact I will go for my RKC-II. I heard that there might be another one in Schenectady next spring. Fitness, and kettlebells in particular, will be important in terms of my upcoming professional goals. I’m hoping to help the young men I work with develop as complete people. I believe that focus needs to be paid to their mental, emotional, and spiritual growth, but development of the physical self will be an important piece of this puzzle.